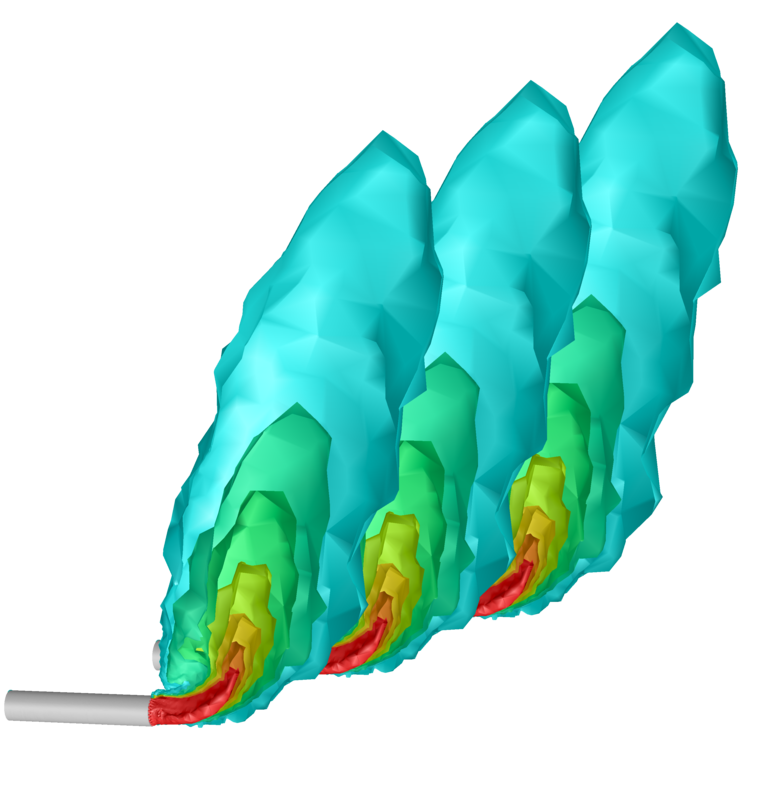 Fluid-dynamic simulations (CFD analyses) are largely employed in industry to predict plant operation or components performance, before it is manufactured. Consequently, it is possible to save money and time and the designer can choose, among the different feasible solutions, only the most suitable and promising.Global performance and fluid-dynamic quantities can be investigated in any position of the domain considered. 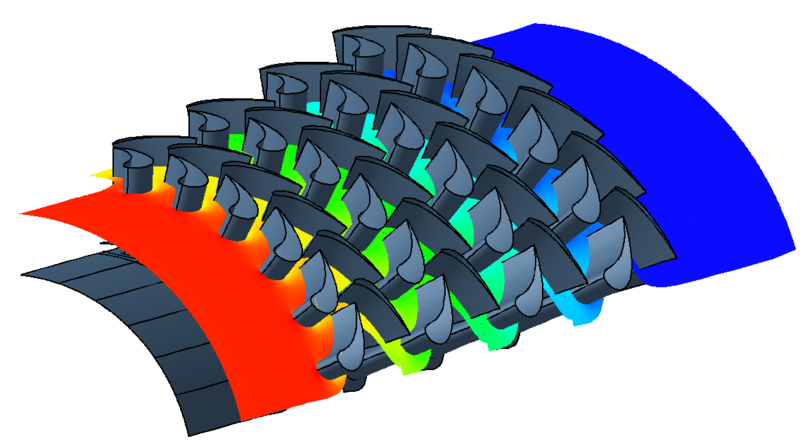 AMP personnel has great experience in numerical simulations for different industrial applications, such as turbomachinery, incinerators, boilers, valves, heat exchangers and home appliances. In the preliminary phase, as well as in the detailed one, the mechanical assessment, carried out through FEM calculations, enables to evaluate the mechanical behaviour of the component, both from a static and a dynamic point of view. The detailed knowledge of the stress and strain fields ensures more degrees of freedom, speeding up the design process, saving money and increasing productivity. 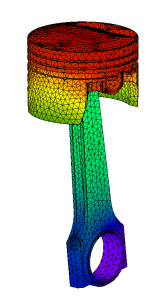 Main advantages of FEM analysis are many and significant: an innovative concept design can be developed and simulated with different load conditions and modifications can be implemented before component manufacturing. Combustion systems represent an important element in the state of the art process plant. The correct design and the performance prediction are a big challenge for designers. Being able to employ reliable numerical tools is a key factor in this industrial sector. 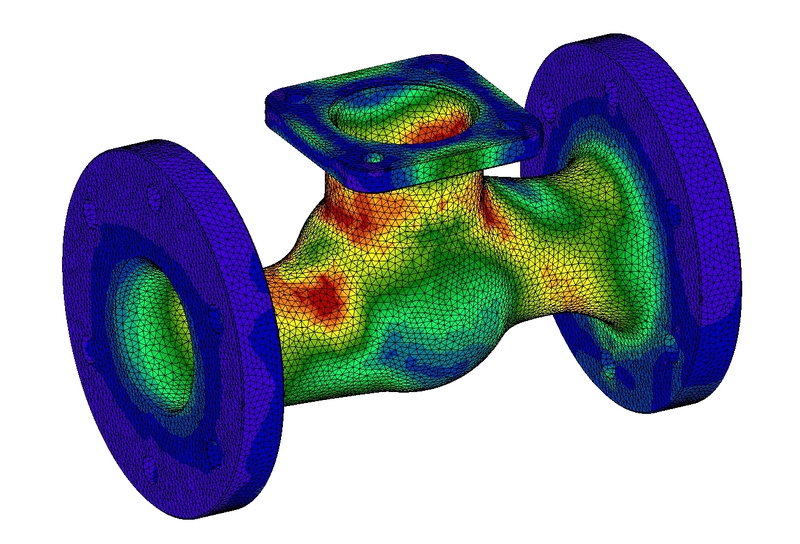 Thermal analysis is becoming a fundamental tool in different industrial sectors. Analysing and knowing the thermal field of mechanical components, both in steady and unsteady conditions, enables the manufacturers to reduce project duration, by noticeably reducing the need of experimental activity carried out on prototypes.